Yesterday morning my 2010 Tacoma did something it's never done before. Hope this makes sense....When I turned the key to start it the engine turned over normal like it always has but instead of starting right up it just turned over for 5-10 seconds and did not start. The second time I did it the engine almost started and then the third time I tried it started. I drove it to work and it's been starting fine ever since. We had a lot of wind driven rain the night before so I was wondering if something may have gotten a little damp or wet??? Don't know. Thanks folks. What motor is in your truck? Battery seem fine? Battery seems fine. It's the V6 engine. How old is the battery? Did you have it tested? Had the battery checked yesterday. Tester said batt was fine and didn't try to sell me a new one. May be a one time problem. If it happens again, I’d go with Lil G and have fuel pressure tested. Thanks fellas, I'll do just that. B-Man, Lil G and texasred like this. Crawdad, Lil G, B-Man and 2 others like this. "The reason why Toyotas in general take longer than most other vehicles to start is because they dont have a fuel pump prime circuit. On a non-Toyota, when you turn the key on(engine off) it powers the fuel pump for a few seconds to build up fuel pressure for quicker starts. Toyota is the only manufacturer I know of that doesn't have this. The good part is that, in the 4 years I've been a mechanic, I have yet to see a Toyota fuel pump go bad. On the other hand I can't count how many fuel pumps I've replaced, especially G.M. fuel pumps"
Crawdad, Lil G, B-Man and 1 other person like this. kp.taco, texasred and B-Man like this. Thanks Lil G, no problem. I'm not a mechanical guru by any stretch of the imagination either!!! 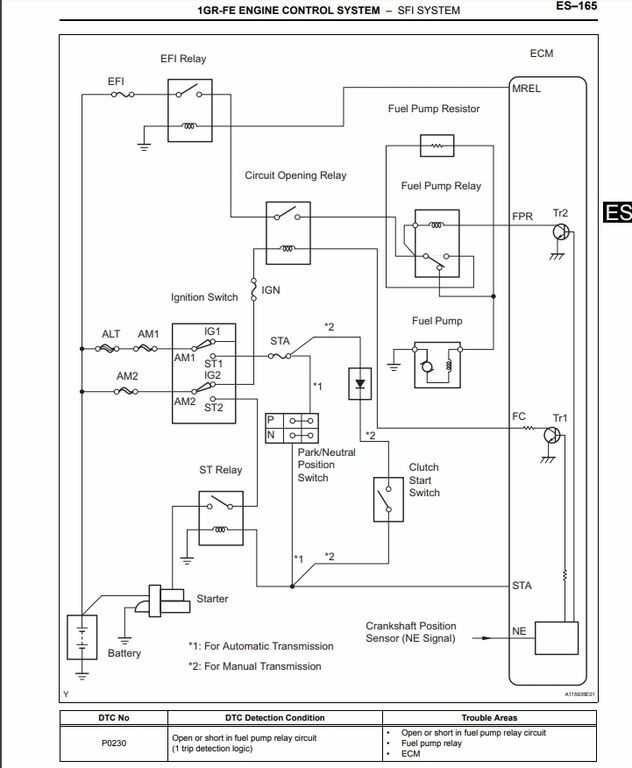 Right, from my reading the fuel pump depends on feedback from the crank position sensor. The tech who did my fuel pump upgrade said the same. Crawdad, OR17TRD, texasred and 4 others like this.